When Mr. & Mrs. Joseph Smith were approached by Msgr. Hyland in the name of Bishop Haas, to donate some land for a Church in this part of Muskegon County, they asked that the Church be named St. Thomas. Their son Thomas had been killed as he got off the bus in front of their house coming home from St. Mary’s School. Thus St. Thomas the Apostle became the titular name of the new Church. 2 ½ acres on the corner of Apple & Dangl were donated in memory of their son. Father Rudolf Hornberger OFM and Father Clementin Grosskopf OFM were appointed to start a new Parish in East Muskegon. Nov 7: First Mass was held at the Egelston Town Hall at 8:20 a.m. with about 100 people in attendance. The 11:00 Mass at the rectory was attended by about 75. Nov 22: The Altar Society was established and the first meeting was held. Apr 17: Easter Masses: 9:00 a.m at Grange Hall & 11:00 a.m at Egeleston Hall. May 8: 28 Children received their First Holy Communion. 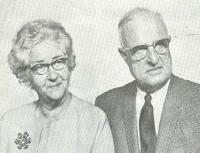 Nov 27: Ground broke and cornerstone laid for new Church/Hall combination designed by Harry L. Meade and Chas. M. Norton of Grand Rapids and built by Acme Builders of Muskegon Heights. The rest of Joseph Smith’s property was purchased. 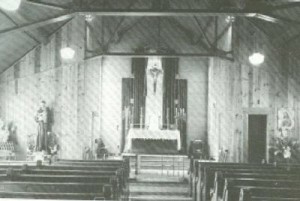 Entire Church property consists of 25 acres. Fr. 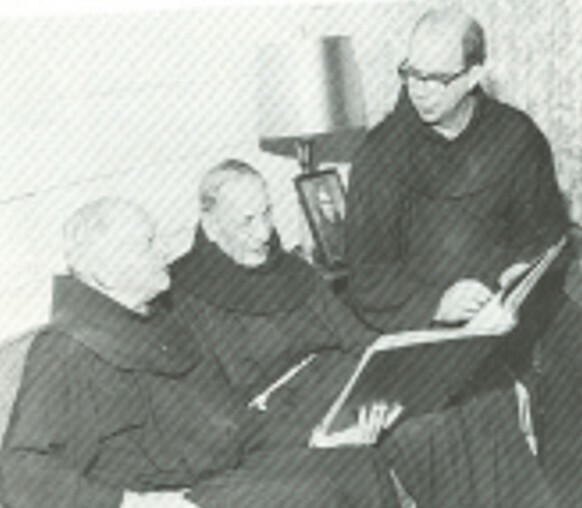 Robert Dentzman OFM Teacher at Muskegon Catholic makes residence at St. Thomas. Fr. Robert Dentzman OFM was assigned to Chicago Parish after teaching Math at Catholic Central for two years and making his home at St. Thomas. April 15: Palm Sunday, First Mass celebrated in our New Church. First visit of Bishop Babcock to our new Church and Rectory on the occasion of Confirmation. comes to live in residence at St. Thomas. 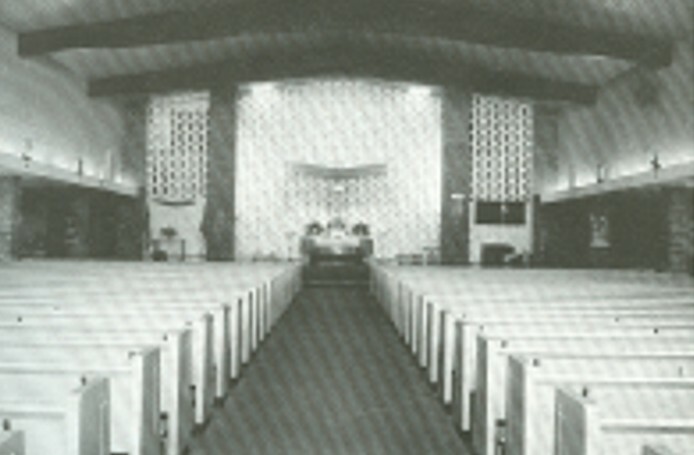 Sanctuary renovated, putting Altar facing congregation. August: Because of Ill health, Fr. Clem was transferred to Joliet, IL. Fr. Donatus Grunloh OFM arrives to take his place. Dangl School purchased to be used as CCD center. Joined the other Parishes in Muskegon to make a consolidated Catholic Elementary School system. 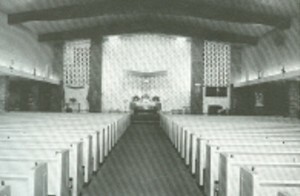 New Lights were installed in the Church and the former Choir Room was renovated into a Mothers Room. Fr. Vincent Fochtman moves to Petoskey to be near his physician. Dec. 5 – 11 Parish Mission conducted by Fr. 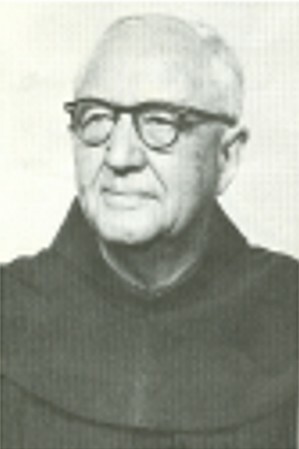 Ambrose DeGroote OFM, Cap. and Fr. Caspar Stollenwerk OFM, Cap. Instituted Lay Ministers for distribution of Holy Communion. July 11: Beloved Fr. Clem age 80, dies at Mercy Hospital. He is buried at St. Mary’s Cemetery. Original benefactor, Joseph Smith dies. Fr. Miro Wiese OFM Fr. Conan Mitchell OFM Fr. Ron Schneider Fr. Miro and Fr. Conan transferred Diocese of Grand Rapids to staff St. Thomas Fr. Ron Schneider becomes first Diocesan Pastor at St. Thomas 1988: March 19: 1989: Food pantry is started to help feed area hungry Larry Jensen Ordained 1991: Dave Kasprzyk ordained in 1981 becomes our Permanent Deacon 1992: September: Parish “Light Weekends” 1993: Founder’s Hall renovated Adopt Sister Parish in Haiti – St. Michael 1994: Fr. Ron Transferred to Hart, Fr. Phil Witkowski becomes Pastor. Van to provide rides to attend Mass at 11:00 on Sunday makes it’s debut. Coordinated by Barb & John LaPres. The Van makes stops at Christian Care Center, Hickory Village, and Pine Grove Manor. 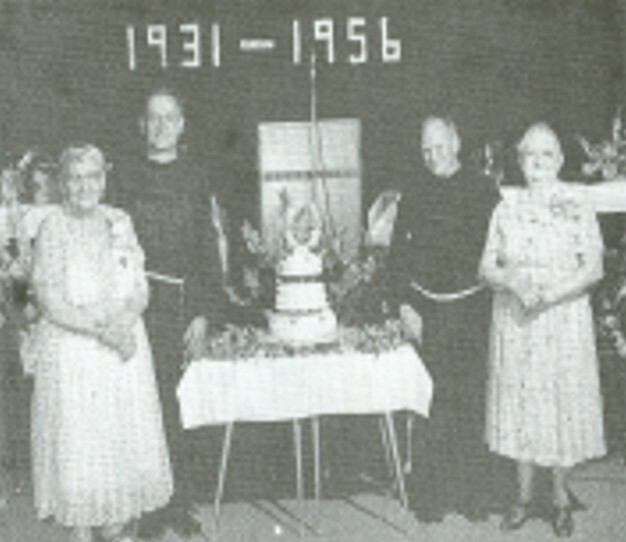 St. Thomas celebrates 50TH Anniversary Year, celebration includes Mass and reception at M.C.C. Fr. 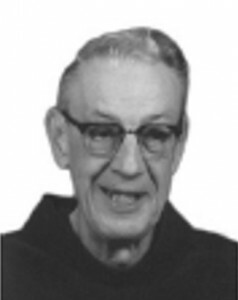 Phil Witkowski transferred, Fr. Mark Bauer is appointed as our interim Pastor. “Sandals in the Sun”, Memories of Fr. 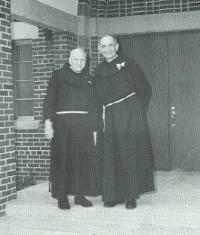 Rudy and Fr. Clem are gathered by Gen Reinhold, Marge Jawor and Rita Miller. Book is available at the Parish Office. Fr. Don Grunloh age 82, dies at St. Anthony Hospital in Effingham, IL. Is appointed associate pastor of Our Lady of Grace Parish in Muskegon and St. Thomas theApostle Parish in Muskegon Heights, effective July 10, 2007. Aug 2, 2012: Fr. Antony Britto, S.A.C., administrator of Our Lady of Grace Parish in Muskegon, and St. Thomas the Apostle Parish in Muskegon Township, is appointed pastor of Sacred Heart Parish in Muskegon Heights, now clustered with St. Thomas the Apostle Parish in Muskegon Township. Fr. Antony Britto, S.A.C., administrator of Our Lady of Grace Parish in Muskegon, and St. Thomas the Apostle Parish in Muskegon Township, is appointed pastor ofSacred Heart Parish in Muskegon Heights, now clustered with St. Thomas the Apostle Parish in Muskegon Township. Rev. Anthony Britto, SAC is appointed associate pastor of Our Lady of Grace Parish in Muskegon and St. Thomas the Apostle Parish in Muskegon, effective July 10, 2007. Rev. Phillip Sliwinski is appointed to the diocesan staff for special archival projects effective August 1, 2007. Rev. Anthony Britto, SAC, currently Pastor at St. Margaret Mary Parish, Edmore and St. Bernadette Parish, Stanton is appointed Administrator of St. Thomas the Apostle Parish, Muskegon Township, effective October 1, 2010. Rev. Michael P. Olson is granted senior priest status effective December 31, 2010. Fr. 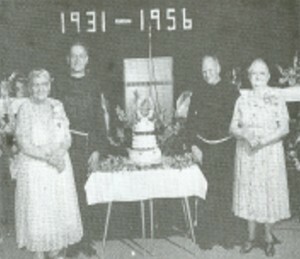 Olson has most recently been serving as pastor of Our Lady of Grace Parish, Muskegon and St. Thomas Parish, Muskegon Township. Rev. Antony Britto, SAC, is appointed administrator of Our Lady of Grace Parish, Muskegon effective January 1, 2011. This appointment is in addition to his present responsibilities as administrator of St. Thomas Parish, Muskegon Township. Fr. 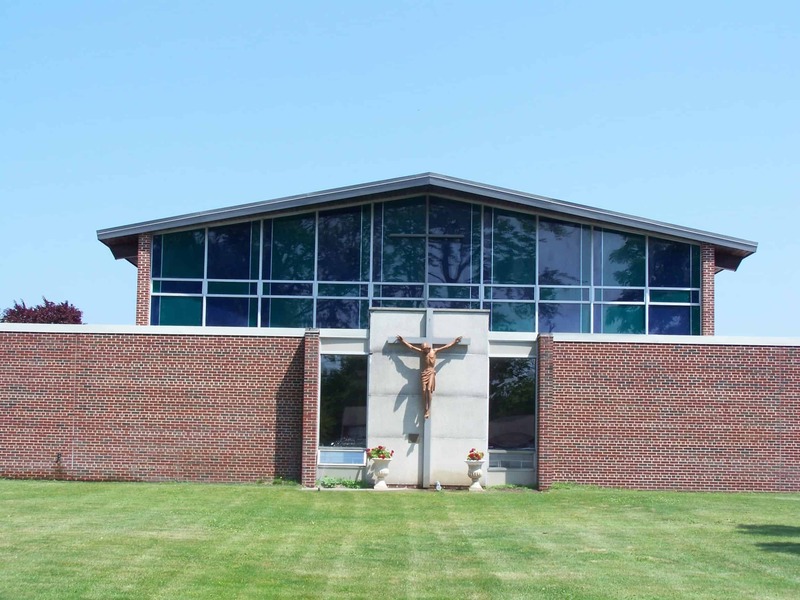 Antony Britto, S.A.C., administrator of Our Lady of Grace Parish in Muskegon, and St. Thomas the Apostle Parish in Muskegon Township, is appointed pastor of Sacred Heart Parish in Muskegon Heights, now clustered with St. Thomas the Apostle Parish in Muskegon Township.